A Gensler publication, Dialogue magazine is a forum to discuss new trends and issues of direct concern to our clients. Dialogue offers viewpoints from both within and outside Gensler. Cities are top of mind for us because of how profoundly they touch the lives of the people who live in them. For that reason, we believe that human experience is the driving force behind how we shape our future cities. That’s why we have devoted this issue to Designing Cities for People. As community builders, we face many challenges — ranging from affordable housing to climate change. At the same time, we recognize tremendous opportunities to leverage the power of cities to reshape education, accommodate new forms of mobility, expand access to healthcare, and reinvent what it means to be a “smart city.” Every day, Gensler’s designers are reimagining how people will experience cities in the future, and we are using the power of design to create a better world — and better cities — for generations to come. No matter how you look at cities, people are always at the center. For that reason, we believe that human experience is the driving force behind how we shape our future cities. Gensler books provide insights into design’s ability to enrich the human experience and benefit communities. Each volume illustrates our client-centric approach to delivering innovative design solutions. 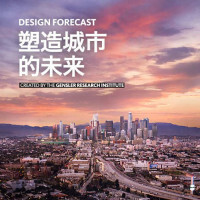 The second installment in Gensler’s Research Catalogue series features findings from 41 research teams across the globe, with implications for everything from the future of museums to how we build the cities of tomorrow. 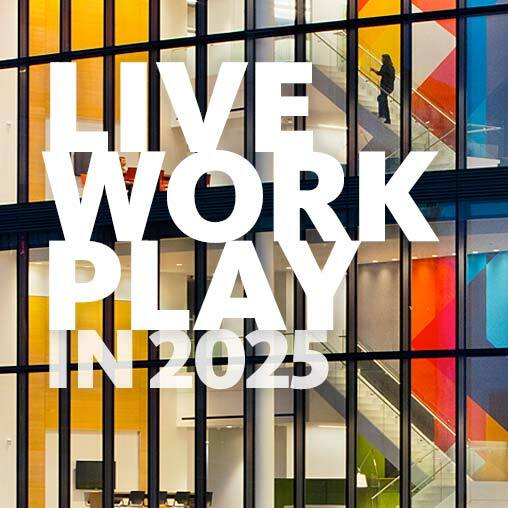 Gensler’s first Research Catalogue, published in 2014, highlights the work of 42 research teams on topics ranging from workplace performance to the student experience. Gensler’s Professional Practice Case Study Series helps prepare the next generation of designers to enter the profession. 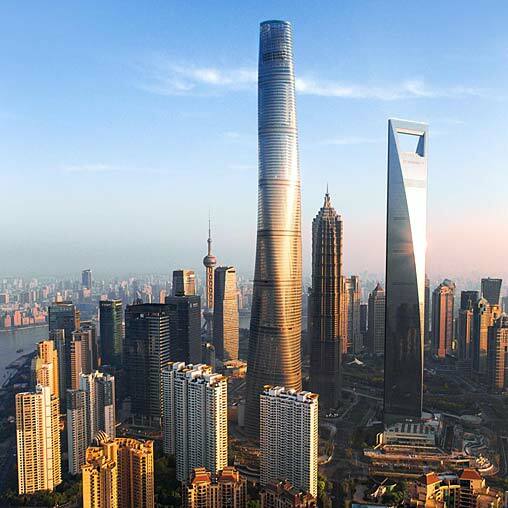 Shanghai Tower tells the compelling story of the making of China’s tallest building. The book captures the emotion and spirit of a super-highrise that is transformative in nature. Its chapters deal with the concepts underlying the design, the journey of construction, key components of the tower, and its impact on a world city. Art’s Principles reveals the blueprint behind one of the most successful professional services firms, giving career-minded individuals the tools they need to excel in business. An impressive roster of retail interiors for top brands that demand the highest level of design and an engaging customer experience. A comprehensive survey of modern, passenger-friendly airports – the key connector to cities and regions in an expanding global community. A rich resource on innovative design and best practices for buildings that boost performance for public agencies. A portfolio of design innovations and place-making solutions for a diverse range of education clients committed to excellent facilities. Cities are epicenters of culture and ideas, and the engines of economic and social capital. As the global population continues to shift to urban areas, that growth comes with great challenges. 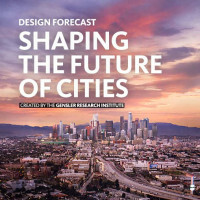 Because of this, our latest issue of Design Forecast is focused on the city. A collection of more than 200 trends, this issue discusses the role of design in creating the places where people live, work, and play in urban centers across the globe. Fueled by insights from the Gensler Research Institute, we are committed to unlocking new solutions and strategies that will define the future of design. We invite you to use these insights as a platform for thinking about what’s next. Are single-use spaces becoming obsolete? Una exploración de cómo el diseño dará forma a la experiencia humana en el próximo año y más allá. An exploration of factors that are likely to transform everyday life in ways that reshape its design and experience. 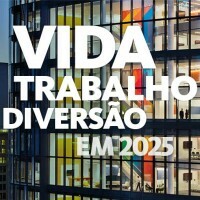 Metatrends que darão forma ao mundo em 2025. 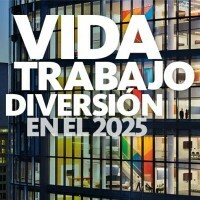 A Gensler publication, Dialogue magazine is a forum to discuss new trends and issues of direct concern to our clients. 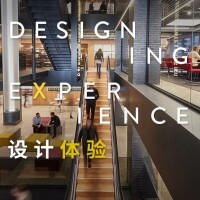 Published twice a year, Dialogue offers viewpoints from both within and outside Gensler. We believe that human experience is the force that will shape our future cities. 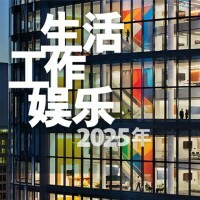 Gensler Design Forecast builds on the legacy of our Annual Reports to provide an informative guide to the intersection between business and design in the year ahead. 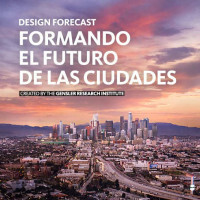 A collection of more than 200 trends, this issue of Design Forecast discusses the role of design in creating the places where people live, work, and play in urban centers across the globe. 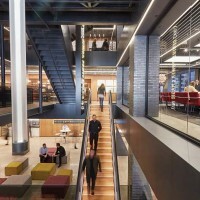 Focused on a new or noteworthy project, the digital and large-format print versions of Design Update highlight a client’s business drivers and the innovative design, technical and managerial solutions Gensler provides. No matter how you look at cities, people are always at the center. For that reason, we believe that human experience is the driving force behind how we shape our future cities. That’s why we have devoted this issue of Dialogue to Designing Cities for People. Modern cities can be built on time-honored principles and shaped by regional culture and local values, as demonstrated at Msheireb Downtown Doha. In this issue of Dialogue, we focus on the lifestyle sector and explore the role of convergence, experience, and placemaking in reshaping cities around the world. In a rapidly changing business climate, the most successful organizations are adapting their workplace strategies to focus on the needs of people. Inspired by Shanghai’s tradition of parks and neighborhoods, China’s tallest mixed-use building will complete the world’s first super-highrise precinct and reshape the way we build and inhabit cities. To a real estate portfolio replete with green branch banks, offices and mixed-use towers, PNC Financial Services Group adds a headquarters that raises the bar for energy response and workplace performance. The first new downtown tower in 20 years marks L.A. LIVE as Southern California's premier setting for professional sports, headline entertainment and international conferences and conventions. Completing a decade-long effort by AEG, the project doubles L.A. LIVE’s size, adding a rich mix of urban living. Once a generation, Las Vegas reinvents itself. In 2005, master plan in hand, MGM MIRAGE asked Gensler to join it in making a “city within a city.” How our team helped create a new symbol of Las Vegas is a case study in design leadership.